My family and I had an amazing experience in the Grand Canyon as well as on the Bar 10 Ranch! The guides on the raft trip were very professional (top notch), were very knowledgeable about the Grand Canyon's history, and had the utmost respect for the canyon's ecosystem. The food was wonderful, and the guides were very careful with their food preparations and choices as I had a peanut/treenut allergic child on the trip. The guides went out of their way to provide safe snacks to have on the boat for my daughter which was greatly appreciated! 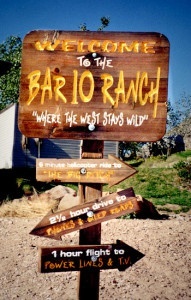 The folks that run and own the Bar 10 Ranch were welcoming and great hosts! I highly recommend Western River Expeditions for this experience!